Many business owners have the majority of their wealth invested in one thing- their business. Converting that life’s work into a successful retirement is no trivial matter. Done poorly, it’s a choice that may look like this- after a frustrating event at the office, you abruptly decide to sell what took decades to create. You just want to sell quickly; closing this chapter and moving on. Not looking at the larger planning and financial picture, you unknowingly leave hundreds of thousands of dollars on the table for the buyer, or worse, the IRS. Done properly, it’s a deliberate course of action called an “exit strategy.” For business owners an exit strategy is typically aimed first at business succession planning, then focuses on retirement and wealth preservation. ✔︎ Is it best to sell my business, or transition to family members or key employees? ✔︎ How would I sell my business… and to whom? ✔︎ What is my business worth? ✔︎ Can I prepare my business for sale? ✔︎ When is the best time to sell? 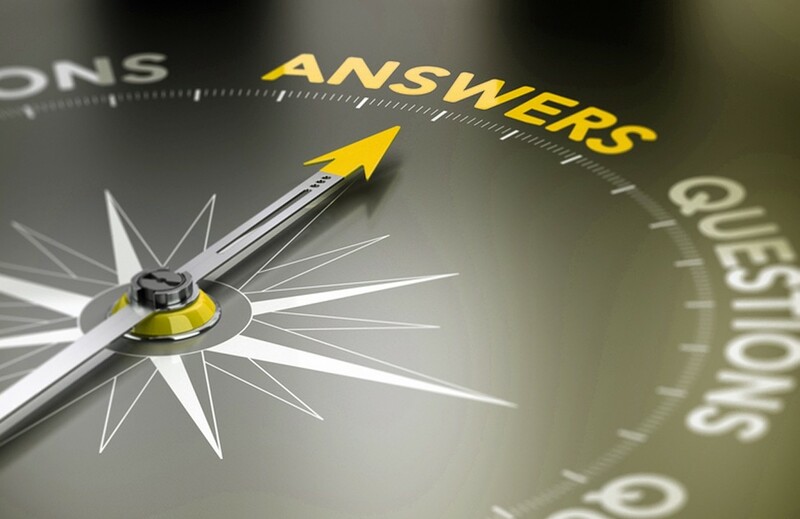 Obviously, these questions (and more) need answering as they provide the foundation for your successful exit strategy. Retirement planning looks at the next chapter for you and your family, focusing on cash flow requirements, risk factors and more. However, the much bigger picture when faced with the decision to sell your business is wealth preservation—the process of converting your life’s work into a solid, future cash flow. 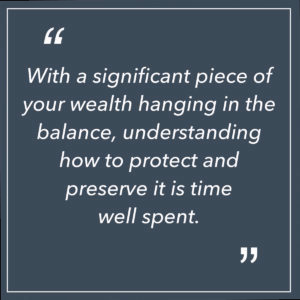 With a significant piece of your wealth hanging in the balance, understanding how to protect and preserve it is time well spent. Estate planning ties it all together with wealth preservation. It also spotlights the transference of wealth to family members and other charitable considerations in the most appropriate and tax efficient manner. Depending on your financial situation and entity structure, there can be a variety of wealth preservation vehicles available. Once the decision to sell has been made and focus shifts from ‘acquiring wealth’ to ‘preserving wealth’, guidance and advice from your professionals will focus on extracting and preserving your hard-earned dollars. For best results a “Transition Team” is required, including a business transaction attorney, CPA, estate and financial planners, and a business advisor. Working in harmony, team members have two priorities: maximizing financial yield and minimizing risk, both at the point of sale and into retirement. Plus, they’ll provide options and solve problems you’ve not yet considered. Establishing an exit strategy is one of the most significant issues facing owners. Simply, it protects the quality of your future. In the end, solid advice leads to solid decisions. 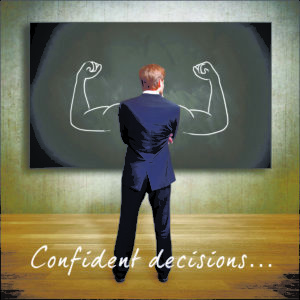 As you consider retirement, give yourself the gift of confidence and peace of mind. Your retirement will thank you!